The Winter Games have come to close after three glorious weeks of Olympic competition that kept us glued to our computers, tablets and televisions. 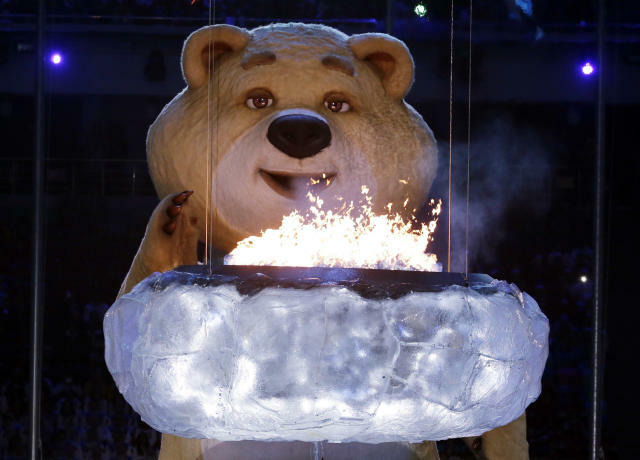 With all the athletic competitions over, Russia ended their Games in style on Sunday with a beautiful Closing Ceremony that highlighted ballet, literature, music and artistry; an event that was visually stunning. • The missing ring: The missing fifth Olympic ring from the Opening Ceremony reappeared in the Closing Ceremony as a funny moment, which drew as much praise as the original missing ring drew criticism. Good for Russia for not taking itself too seriously. • Russia sweeping the cross-country skiing podium: There’s no better way for a host country to end their Olympics than being the last ones on the podium during the closing ceremony. Alexander Legkov took gold in Sunday's 50K mass start cross-country race and jumped into the air after her received his medal. Joining him on the podium in front of the thousands at the closing ceremony were two fellow Russians: silver medalist Maxim Vylegzhanin and bronze medalist Ilia Chernousov. The sweep secured Russia not only the overall medal count, but also the most gold medals at the Sochi Winter Olympics. • On to Pyeongchang: One of the greatest traditions of the Closing Ceremony is the transfer of the Olympic flag to the next host country. In this case, it was Pyeongchang, South Korea, which will host in 2018. And during the transfer, Pyeongchang presented a beautiful display of its country and then celebrated the South Korea athletes who were at the Sochi Olympics. It’s one of the more stirring parts of the Closing Ceremony because it provides anticipation for the next four years. 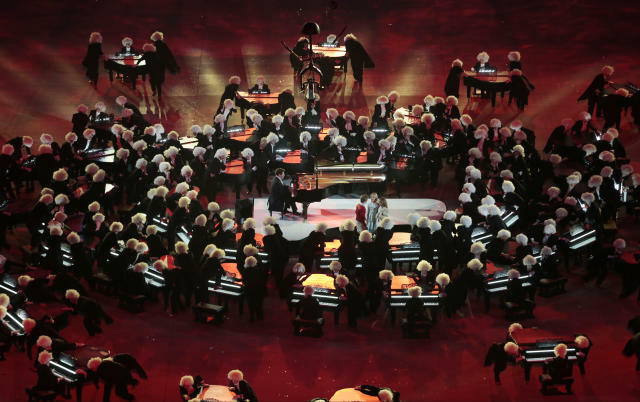 • Dancing pianos: There were a lot of artistically stunning moments during the Closing Ceremony, but none as innovative as Russia's dancing piano routine. Sixty-two pianos dancing around Denis Matsuev, who is considered the People’s Artist of Russia, playing Rachmaninoff's 2nd piano concerto. It was pretty amazing.